Do you know about LFPL’s Adult Winter Reading Program? It is called Books&Brews502 and has been running since the first of December 2018. The program will continue until the end of February 2019. Participants are able to earn points by reading books and attending programs – either at the Library or at Books&Brews502-specific programs with partners like Heine Brothers’ Coffee and Against the Grain Brewery. The more points you have, the more chances you have to win! One of our patrons, Bonnie G., enjoyed the program enough to do short reviews of the books she read. She has given us permission to share her reviews. The two below are ones that the library has copies available for checkout. I love reading about the Kennedys. 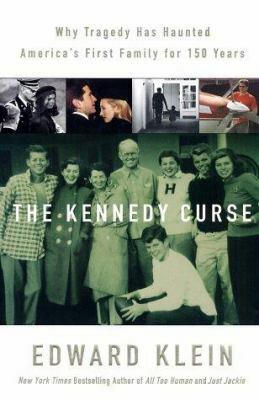 This book takes the Kennedy clan from its very beginnings in Ireland, when Patrick first came to the U.S. It tells us how he did that and how he was treated. He was treated uglier than the immigrants are being treated today, maybe worse. It impressed upon me that this supposedly welcoming country is indeed hateful towards all peoples not from America. This book begs to ask the question, then who is from here? No one. Only the native Americans are and look how this nation has treated them. Each chapter in this book is about a specific Kennedy and their back story with almost unbelievable tidbits of information on each person. The book reads very quickly if you like dialogue and information all thrown into one. This is a book written by the slot receiver for the New England Patriots football team. Unlike most books written by non-writers, this book is very well written. Jules is a pleasant surprise as a dialog and descriptive writer on the events in his life, leading up to him being on the Patriots football team and during. I have recommended this book to everyone whom I believe would be interested. There are definitely some very funny parts, especially behind the scenes. 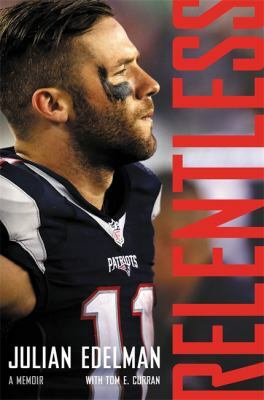 If you are a Patriots fan, this is the book for you. This entry was posted in Reviews and tagged Adult Winter Reading Program, Non-Fiction on January 23, 2019 by Tony. Tasting chocolate is different from chocolate tasting. If it seems as if I’m quibbling, I promise I am not. What’s the difference you say? One is a quick, almost involuntary, response to something you put in your mouth. 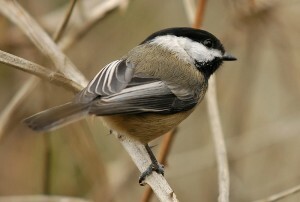 The other is a slow and purposeful exploration of the senses and the mind. You can actually test this statement using chocolate. 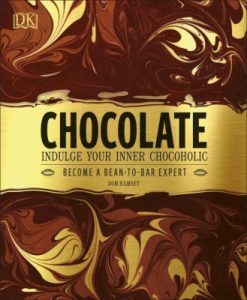 In Chocolate: Indulge Your Inner Chocoholic there is a challenge to taste two pieces of the same dark chocolate at different speeds. You are instructed to eat the first piece quickly. Put it in your mouth, chew a few times and swallow. Between the first and second tasting you should cleanse your palate with water. The second piece of chocolate should be approached with slowness. Hold it cupped in your hand and hold it close to your face. Breathe in deeply and then put the chocolate in your mouth. Let the piece of chocolate begin to melt in your mouth before you begin chewing. You should be able to taste a difference between the slow and the fast. For some people it will register as more sweetness when you go slowly, for other’s there will be hints of other flavors. There is no right or wrong taste. It is an individual experience. Choosing your setting also allows you to control smells like colognes, perfumes, lotions, hair products or even pleasant household smells! Heavy smells of any kind can interfere with the olfactory portions of tasting. Timing is everything, or in this case can make a big difference. There is no set hour or day of the week, but you should pick a time that allows you to feel relaxed. Feeling like you have to hurry is a distraction and will take some of the fun out of it. After where and when, comes what. What type of chocolate are you going to taste? Are you sticking to one variety from different vendors? Are you comparing and contrasting types of chocolate? Or are you sampling different flavor varieties of one type of chocolate? Think about why you want to do a tasting and choose accordingly. Whichever you choose, try to limit yourself to 6 chocolates. If you try to taste more than 6 per setting, your pleasant tasting may become a chore. For a complete beginner I’d even suggest sticking to 3 or 4. In addition to your chocolates of choice, you will need a palate cleanser. This can be as simple as water, or it can include things like crackers and apple slices. If you buy a block of chocolate, you might need a knife and cutting board. If you are a lone taster, make sure you’ve gathered something in which to store your left over chocolate, presuming you have the self-control required to resist eating it all in one setting. If you’re like me and may not remember details about each chocolate, you may want to have a pen and some paper handy to take notes. This brings me to engaging your mind, as well as senses. As you’ve read, there is already a bit of thought that goes into a chocolate tasting. But beyond the questions of what, where, when, and why is how you approach chocolate tasting. Although it is not inherently necessary to know anything about the chocolate chosen for a tasting, learning a little bit about your chocolate can enhance the experience. For instance, if you’ve chosen to sample 3-4 dark chocolate varieties with 86% cacao, you might want to know a little bit about the origins, growing conditions and processing of your chocolate. In this particular instance, many of these chocolates will have distinct overtones based on all three of those factors. If you are comparing and contrasting dark (bittersweet and semi-sweet), milk, and white chocolate, you might want to know what traits define each type of chocolate. The types of chocolate are determined by the amount of cacao, milk solids, and sugars they contain. 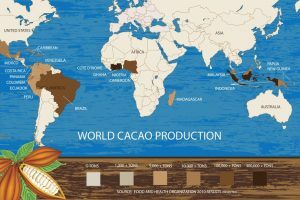 If you are a traveler, arm chair or frequent flier, you might be intrigued by the varieties of cacao and the regions in which they are grown. There is no right or wrong way to approach what you want to learn about chocolate. Like sense of taste, delving into the informational world of chocolate is an individual quest. Now it’s time for the nitty-gritty. Your five senses and your mind are all you need from here on out. Sight: This stage is known as presentation. Upon unwrapping, your chocolate should have a smooth, glossy surface. If dull, waxy or showing snowflake like marks it has either been the victim of poor tempering and/or bad storage habits. Ideal storage places chocolate between 59 and 68 degrees in an airtight container. 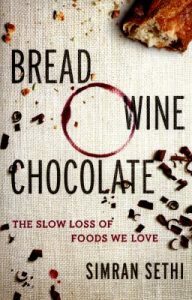 Sound: I like what Sandra Boyton wrote, “Good chocolate should have a lively, decisive break. If it splinters, it is too dry. If it breaks reluctantly, it is too waxy. If it folds, something is definitely wrong.” The snap good chocolate should make is part of the crystal structure formed during tempering. 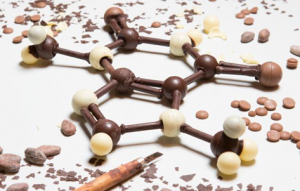 Chocolate is a six-phase polymorphic crystal, which means it can take on 6 different crystalline structures, and how those little chocolate molecules group together is determined by the temperature of the chocolate when you pour it. Who knew science could be so tasty! 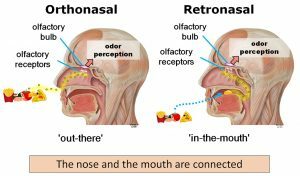 Smell: Time for some orthonasal olfaction! Place your piece of chocolate in the palm of your cupped hand, lean in and take a sniff. Now put your other hand over it and make a chocolate cave. I’m totally serious. Okay, maybe not serious, but it is a real instruction. Once you’ve created your chocolate cave, inhale deeply through your nose. If you’re mind starts racing, that’s okay. Thoughts, impressions and memories are the process of the brain trying to identify what it smells. Is the scent ephemeral or pungent? Is it here then gone, or does it stick around? Is there more than one aroma? Touch: This one involves your hands and you mouth. During the process of breaking the piece of chocolate and sniffing it, what does it feel like and what is happening to it? Is it melting? If not, put it between your forefingers and thumb and hold it there for a few seconds. Quality chocolate, with high cocoa content, will melt differently than the normal sticky mess that milk chocolate or inferior chocolate will make. The secret is the combination of high cocoa and cocoa butter. Many chocolates, milk and dark, will have fillers and/or emulsifiers instead of cocoa butter. Cocoa butter not only slows the melty mess, but gives your chocolate a fantastic texture. This brings me around to mouthfeel. As Boynton says, “This somewhat upoetic expression means texture. A good piece of chocolate should feel smooth and moist. And the dark, which may not melt on your hand at all, should begin to melt once it’s setting on your tongue and your mouth closes around it. A personal aside is, be mindful of what you eat in the hours before you do your tasting. Anything too acidic or spicy may throw off your tasting groove. Everyone is a little different, but I have discovered that my palate is deeply affected by the chemistry of my food. Sticking with bland foods (think pasta with summer veggies), at least a couple hours before your tasting, will put you in the safe zone. Taste: This last sense is both simple and complex. Place the piece of chocolate in your mouth, but let it rest on your tongue. Don’t chew it yet. Try to let it begin melting on your tongue. A flavor of some sort should become distinct as it begins to melt. What descriptors come to mind? Is it sweet, nutty or bitter? Does it make you think of flowers? How about spices? If the chocolate isn’t melting and/or you’re not getting a distinct flavor, there are a few things you can try. First bite into the chocolate, try not to chew. And/or you can pinch your nose while it is melting and/or you are biting gently. Once you perceive a sensation of some melting, release your nose and inhale through your nose. This should deliver a flavor burst of some sort. Your sense of smell is linked to your sense of taste in creating what we describe as flavor. Without retronasal olfaction, you will not get a true sense of any flavor. 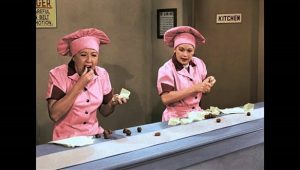 When we think about the “smell” of chocolate, we will often default to the idea of sweet, but that is actually the taste. When we describe a taste we might say something is sharp or tangy, but those are actually descriptors derived from olfaction. Chocolate tasting should help convince you that taste and smell are an old married couple. For more information on the marriage between your sense of smell and taste click on the picture below from the Monell Center Blog. If you, like me, obsess over giving something the perfect description, you might want to consider the use of tasting wheels. The two primary types are texture wheels and flavor/aroma wheels. 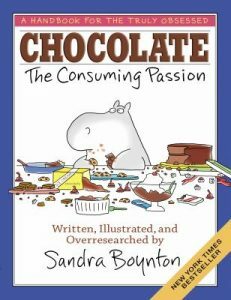 Both of these are found in the book Chocolate: Indulge Your Inner Chocoholic; but they can also be found online. Just make sure you specify chocolate before the terms TEXTURE WHEEL OR TASTING WHEEL. There are so many things to taste and different wheels for each of them. However and what ever you choose to taste, the experience will likely impact all your future flavor perceptions. 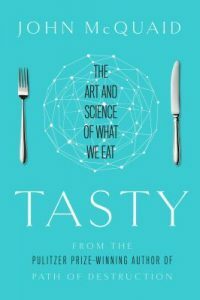 Our sense of smell, McQuaid explains, is hardwired to parts of the brain that “link the past and present.” This connector is a part of the brain known as the insula, which ultimately helps translate the “body’s internal state and external circumstances.” So have fun, make some memories, and build your flavor library. CCN-51; Hawaii; Paso de la Amada, home to the Mokaya; cheese; fresh pears and oranges; clean palate; symbolized the human heart, torn from chest at the moment of sacrifice; money; an agreement to certify cocoa’s “child labor free” status; froth hot chocolate. This entry was posted in Articles and tagged Angel, Chocolate, Food, Non-Fiction, Quiz Answers, Savour, Science on October 28, 2017 by angelinajustice. I confess a deep, lifelong love of dinosaurs. I had a stuffed Tyrannosaurus rex as a kid, instead of a bear, and it still sits on my dresser. I read just about everything I can find on them, from bird identification guides, to blog posts and papers by paleontologists. I am very, very picky about dinosaur books. There’s a system, you see. It should at least know what a dinosaur is. This might seem obvious, but, when I hit the shelves, I’m always surprised at the number of “dinosaur” books that call the wrong things dinosaurs. What is a dinosaur? Dinosaurs are all of the descendants of the single common ancestor of modern birds and Triceratops. They are archosaurs (all the relatives of themselves and crocodiles) with hips that fit upright legs. A chicken’s legs don’t sprawl like an alligator’s. Dimetrodon, Pteranodon, Icthyosaurus, Plesiosaurus – these are not dinosaurs. 2. Illustrations. There is no substitute for a scientific illustrator. Shoddy computer graphics abound in dinosaur books for children and adults, yet good, clear, hand-drawn illustrations do the job far better, and bring out details that are easily botched by cheap computer graphics, such as feathers. This is definitely one case in which a picture is worth a thousand words. 3. Focus. A clear, tight focus can really help a book, especially one that covers a topic as expansive as dinosaurs. Dinosaurs were around for a really, incredibly long time. To put the Mesozoic – the “Age of Dinosaurs” – in perspective, it ended 65 million years ago. The Cretaceous alone, the last of the three periods of the Mesozoic, lasted 80 million years, longer than everything that has happened since. It’s easy for a book to lose sense of this perspective, or for information to get muddled without a well-defined focus. 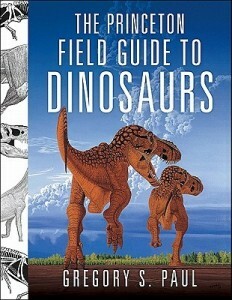 The Princeton Field Guide to Dinosaurs definitely knows what a dinosaur is. The book knows what several hundred dinosaur species are. It is exactly as it says in the title – a field guide – with detailed, accurate, informative illustrations on every page, thorough introductions to each group, and information for every species introduced, including size, estimated weight, characteristics, distribution and habitat, and notes. Even better, it’s by a scientific illustrator who is also a dinosaur researcher. Every page is crammed with line drawings and silhouettes of skeletons, beautiful muscle studies, and sensitive life restorations. The author – Gregory S. Paul – helped lead the charge for changing the visual interpretation of dinosaurs, from tail-dragging, cold-blooded, saggy-skinned mega-lizards, to the warm-blooded, and much more alert and dynamic creatures that populate today’s research and even motion pictures, in accord with advances in scientific knowledge. Especially striking in The Princeton Field Guide to Dinosaurs is the restoration given for the chicken-sized Anchiornis huxleyi – the coloration of which has been determined: it was gray, with black and white banded arm and leg feathers, and a reddish crest on its head. On the other side of the coin, Gregory S. Paul uses a robust, informed imagination in the life restorations to suggest possibilities for dinosaurs that dry bones cannot. The zebra-striped feather crest and cassowary-like wattles on Dryosaurus altus bring the animal to vibrant life. Organized by phylogeny, with species notes that indicate possible relationships, or insufficient data, The Princeton Field Guide to Dinosaurs is easy to browse or use for reference – never losing its clear focus as a reference for the general public. Keeping an eye to context, the book opens with an introductory section that details the history or dinosaur research, changes in the field, dinosaur natural history, and even an overview of details such as diseases or injuries known from dinosaur fossils. Whether your six-year-old has dinosaur fever, or the six-year-old in you does, a great dinosaur book like this one is indispensable. This entry was posted in Reviews and tagged Dinosaurs, Field Guides, Katherine, Non-Fiction, Science on December 19, 2014 by Tony.